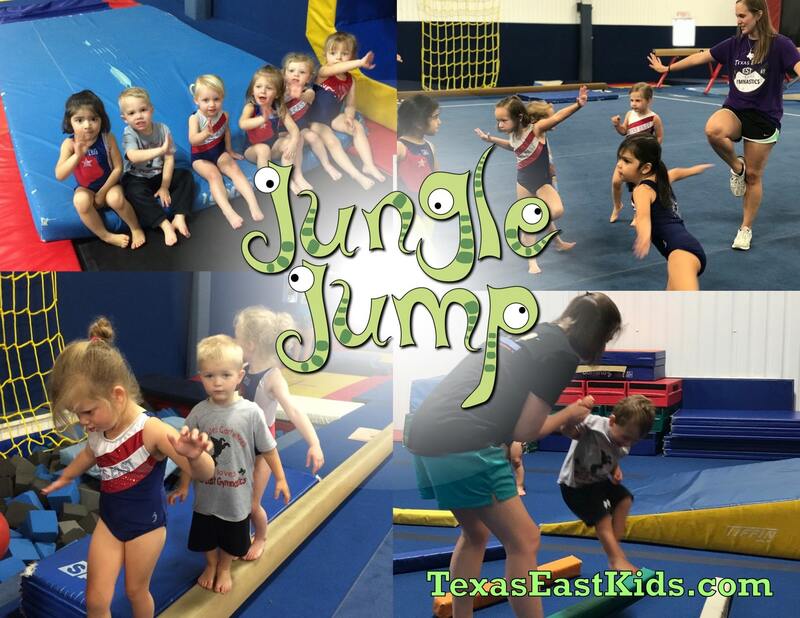 Looking for specific classes or training for your child? You’ll find them here! Level Testing lets kids showcase their skills and progress to the next level if they’re ready! 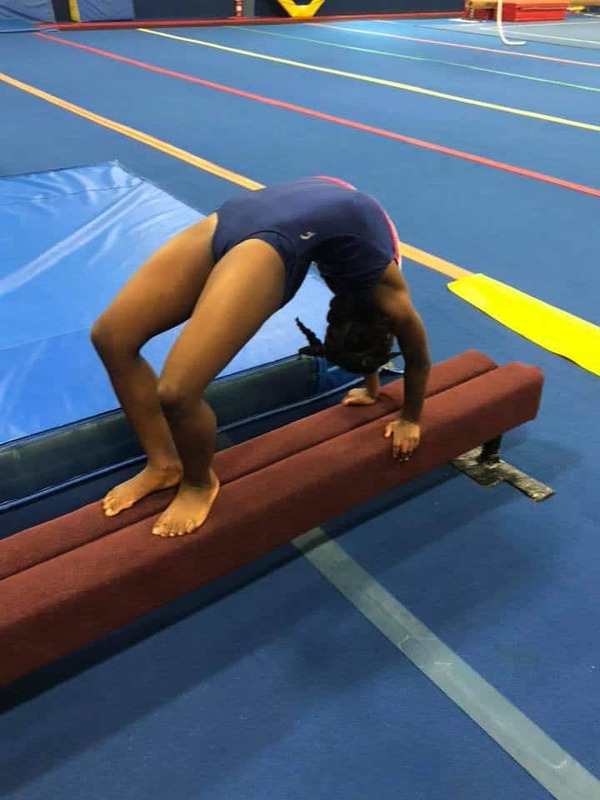 Our class level testing program exists to let each student learn the sport of gymnastics in a safe, child-oriented way allowing all of our students to learn skills at their own pace and to reach their potential in gymnastics, this is done with no charge to the gymnast. Approximately every six weeks on a Saturday the students have the opportunity to come to the gym and show our coaches how well they learned the skills in their level. If a child passes each skill she will be awarded a ribbon and start working on the next levels’ skill set. If skills are not mastered, the student, parents, and coach know what skills to work extra hard on and can try at the next level testing to pass these skills and move to the next level. Of course, all the students who participate in the level testing will receive a participation ribbon for their hard work! 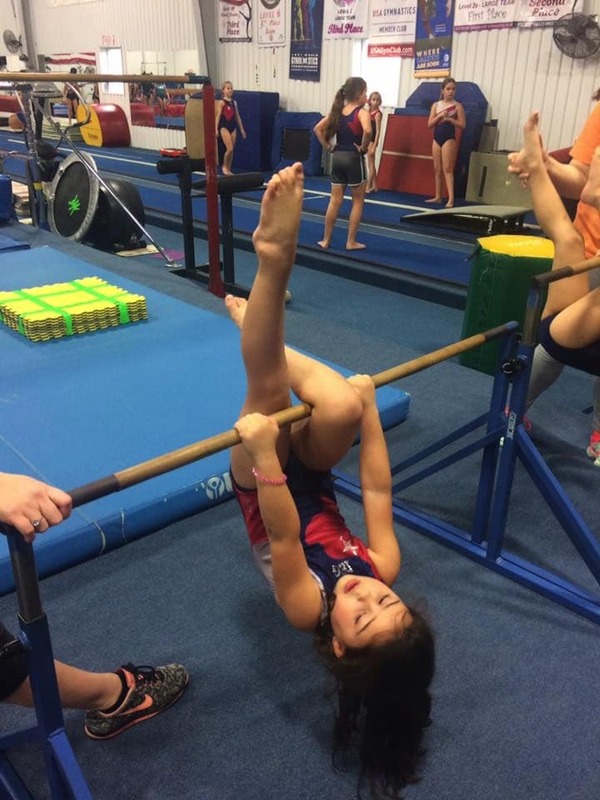 These clinics help students improve their skills at several advanced gymnastics skills. 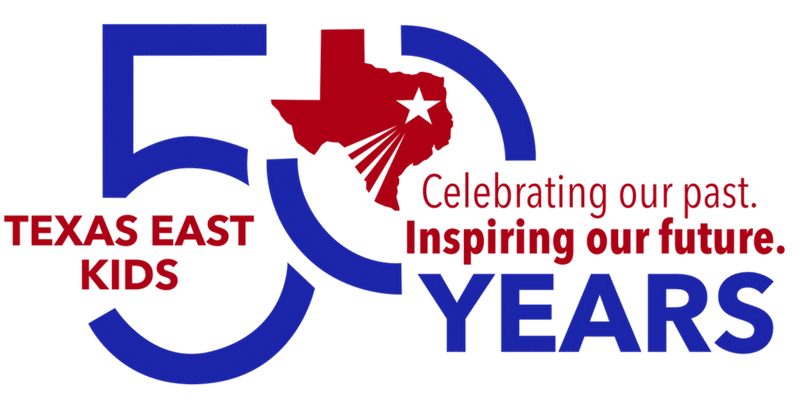 Skills Clinics at Texas East Gymnastics are hour-long sessions that give our students an opportunity to learn several advanced gymnastics skills or improve a challenging skill needed for passing their level testing. The students will be totally immersed in that one skill for the entire clinic to ensure cognitive understanding, recognize his/her strengths & weaknesses during that skill, and to develop a plan to master the skill. Students will be introduced to drills which work the pre-skills necessary to build up to the desired larger skill. These drills will also help them gain a better understanding of what is needed to progress in the desired skill. They will then be given practice skills which can be continued at home in order to continue progress beyond the time allotted at the clinic. Skills Clinics are usually offered every 4 to 6 weeks. Students can choose to work on one of the four skills offered at that time. Some of the more advanced skills offered include cartwheels, kickovers, back handsprings, and pullovers. Sign up is available at the front desk the week of the Skills Clinic. Get more details at the front desk today! Moving is key to a healthy lifestyle and we want our kids to move at an early age. Jungle Jump does just that! With an emphasis on motor skills combined with climbing, swinging, and action, it’s a recipe for success! Train with ninja-like balance and coordination for a fun filled, action packed hour and a half for boys and girls currently enrolled in our Preschool 1, 2 and KPA classes. Sign up by calling the office at (903) 509-3547 or stop by the desk on your way in or out of the gym. The cost is only $20. This is a chance for your little ones to get some extra time in the big gym! There is as always, a group activity to get the kids up and moving! Then they break off into smaller groups to get the greatest benefit with some hands on training! 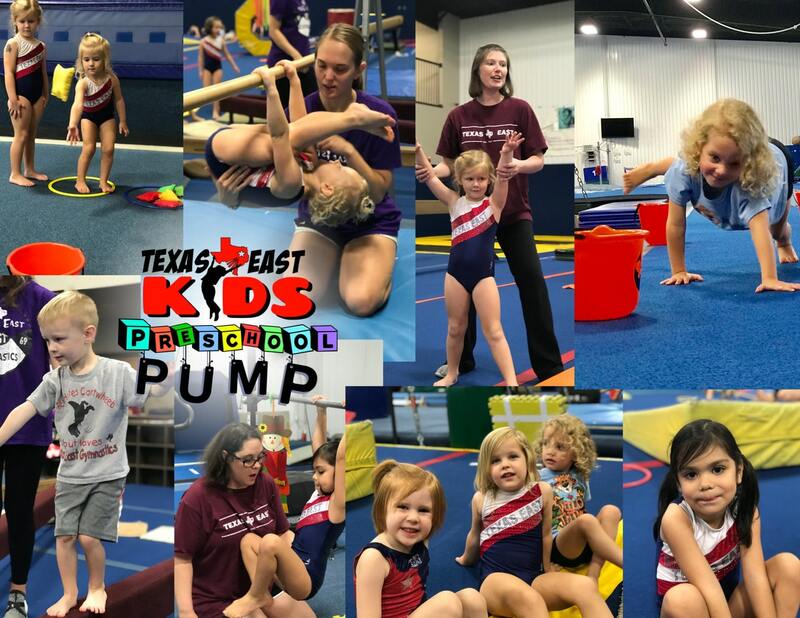 This class is an hour and a half long with an emphasis on gymnastics and motor skills for boys and girls currently enrolled in our Preschool 1, 2 and KPA classes.. Sign up by calling the office at (903) 509-3547 or stop by the desk on your way in or out of the gym. The cost is only $20. 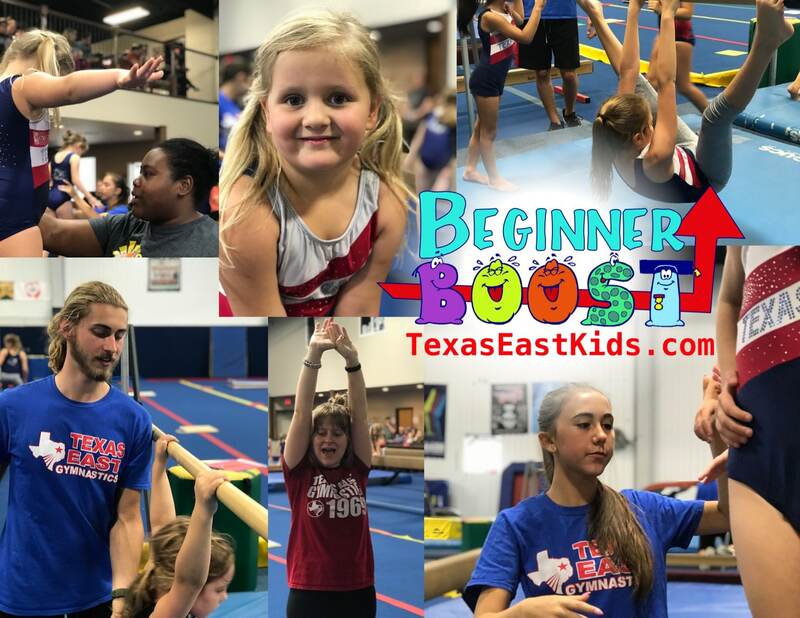 Give your beginner (Level 1) a boost of confidence with an extra class that’s extra long! For an hour and a half, your young gymnast will have some extra time to work on some skills they might need a little help with. We will cover all four events and give them a little time to climb the rope or jump in the pit! Registration for this activity is only available for registered gymnastics students. Sign up by calling the office at (903) 509-3547 or stop by the desk on your way in or out of the gym. The cost is only $20. 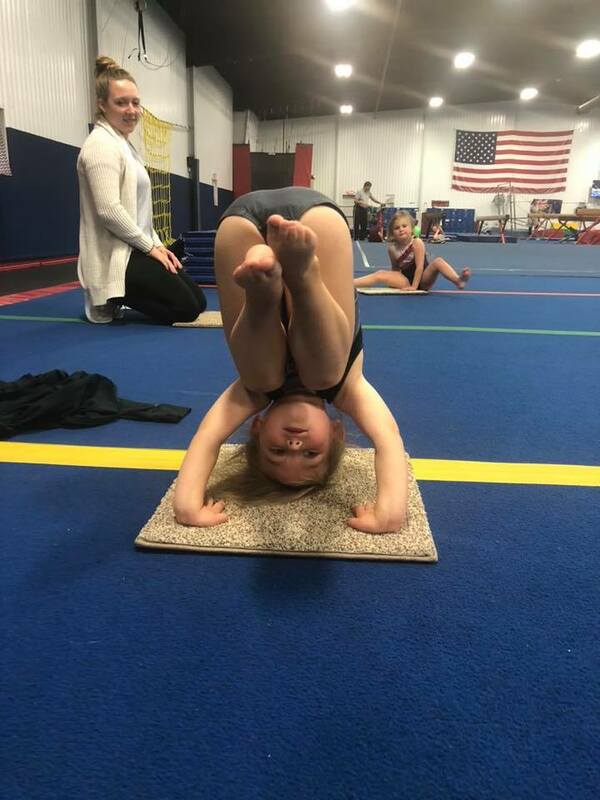 We understand that gymnastics is a difficult sport and any extra workouts can increase a child’s knowledge base and give them an advantage. 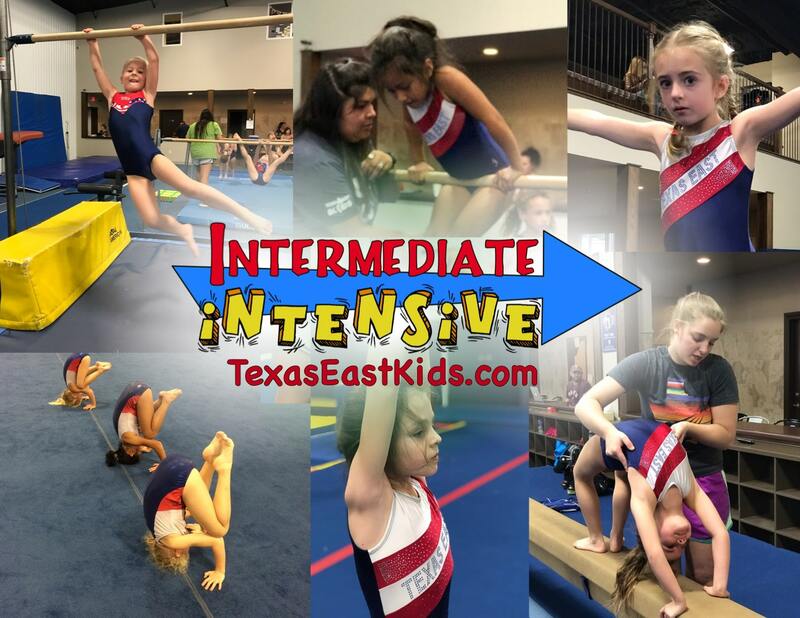 That’s why we created the intermediate Intensive. It’s an extra class for an hour and a half, giving the athlete extra time to work on other skills, and still have time for some fun! Sign up by calling the office at (903) 509-3547 or stop by the desk on your way in or out of the gym. The cost is only $20. 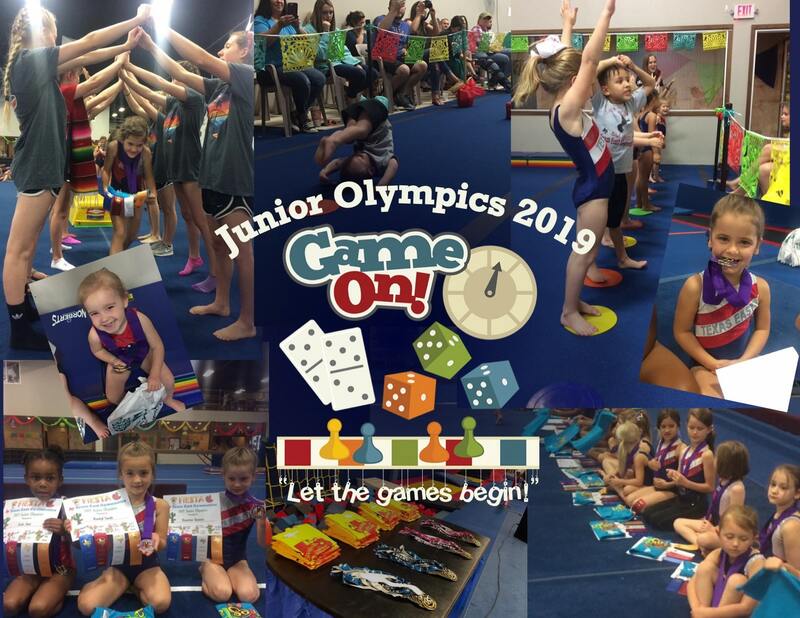 Junior Olympics is coming soon and it’s always good to get in an extra practice! Sign up in the office to have some extra time to go over the routines with a coach on floor, beam, trampoline and bars. Preschool Junior Olympics is the end of the year program for the 2year olds, Preschool 1 & 2, and KPA students. It’s an opportunity to let the students show off during their class. Invite friends and family to see what they have been working on all year long.